The Canada Border Services Agency investigated 1,200 allegations against its own staff over a two and a half year period starting in January 2016, including accusations of criminal association, excessive force and sexual assault, documents obtained by CBC News through an access to information request show. The Canada Border Services Agency, which has the authority to detain and search Canadians and carry out deportations, investigated 1,200 allegations against its own staff over a two and a half year period from January 2016 to the middle of 2018. Documents obtained by CBC News through an access to information request describe a wide range of alleged offences among agency staff, including criminal association, excessive force and using "inappropriate sexual language." One staff member apparently created "a hit list for employees who crossed him." Other allegations appear more minor, such as sleeping on the job or calling in sick to attend a wedding. The records released by the CBSA don't show which allegations were found to be credible or what actions the agency took to address specific problems. They come from a database of internal investigations undertaken by CBSA in response to complaints about conduct. The database provides a rare glimpse into how one of the largest policing bodies in the country handles complaints against its own. The CBSA remains the only major law enforcement body that has no outside oversight of staff conduct. "CBSA, for many years, has been a law unto itself," said Toronto immigration lawyer Joel Sandaluk. "It's hard to imagine an organization with the size and the complexity and the amount of responsibility and authority of an agency like this would be completely without any kind of oversight." A CBC News analysis found 50 different categories of offenses. The largest number are filed under "neglect of duty," with 228 total allegations, followed by 183 allegations of "discreditable conduct" while on duty. The agency also investigated 59 allegations of harassment, 38 allegations of "criminal association" and at least five allegations of sexual assault. Specific details are redacted in some cases but not all. For example, one employee was accused of "selling prohibited knives." Another "may have conducted an unauthorized query of an ex-[girlfriend]." Roughly, a quarter of misconduct cases involved multiple allegations, including a small number of cases with more than a dozen allegations each. There are reasons to believe the actual number of misconduct allegations against CBSA officers is far higher than what was disclosed to CBC News, according to Sandaluk. It can be difficult to convince people to file complaints, he said. Some people who come into contact with the CBSA over immigration issues decide not to file legitimate complaints about staff, fearing repercussions from the agency. Temporary residents and visitors to Canada, Sandaluk said, "simply aren't around long enough to make a complaint or to see that complaint through." "These allegations — as disturbing as they are — probably only represent the tip of the iceberg," he said. Lucy Granados, who was deported to Guatemala last year, alleges CBSA officers seriously injured her during an arrest. Granados arrived in Canada in 2009 and remained in Montreal after making a failed refugee claim. When Granados applied for permanent residency on humanitarian and compassionate grounds, the border agency moved to deport her, sending four officers to her Montreal apartment building last year. Internal reports written by three of the arresting officers and obtained by CBC News from a group advocating on behalf of Granados indicate one officer wrote that some force was necessary because Granados would not surrender her hand to be cuffed. Granados, who didn't file a complaint, said at least one CBSA officer violently pushed her to the ground and kneeled on her back while pulling on her arm. It's unclear if her case was a part of the database. "They pulled it backwards and kept kicking my back with their knees," Granados said in a video-link interview with CBC News, speaking through a translator. CBC News shared the reports, which are filed any time force is used during an arrest, with CBSA spokesperson Nicholas Dorion. "CBSA officers are trained in the use of force and are expected to follow all related CBSA rules and procedures," Dorion said in an email. "While unfortunate, CBSA officers do encounter circumstances where use of force is necessary." Dorion would not say whether Granados's removal prompted any internal investigation into staff conduct, citing privacy legislation. 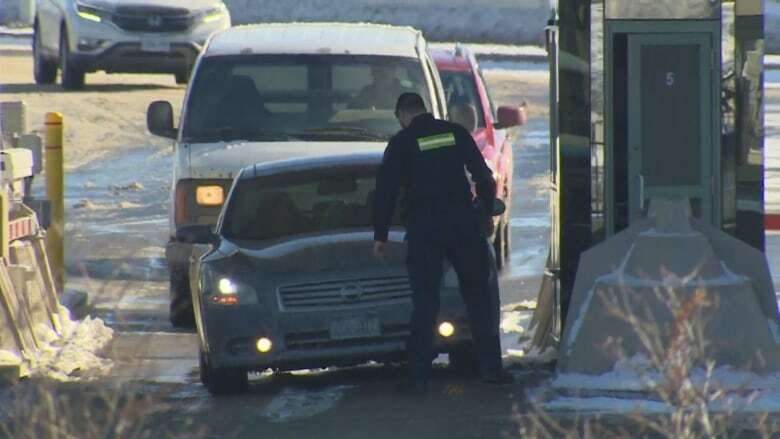 "A specific individual's file, including those from internal investigations resulting from an external complaint to the CBSA or from any alleged misconduct behaviour or other personnel security and professional standards issues reported by managers, is protected by these parameters," Dorion said in an email. Nazila Bettache, a Montreal-based physician and social justice activist who reviewed Granados's medical file, said Granados suffered "a traumatic injury … which basically damaged the nerves in her cervical spine," causing paralysis in her arm. "Where is the accountability?" she said. "Who was there to … look after the situation and make sure that procedures are respected, that there is no abuse of power?" Granados said she still suffers from a lack of feeling in her arm. 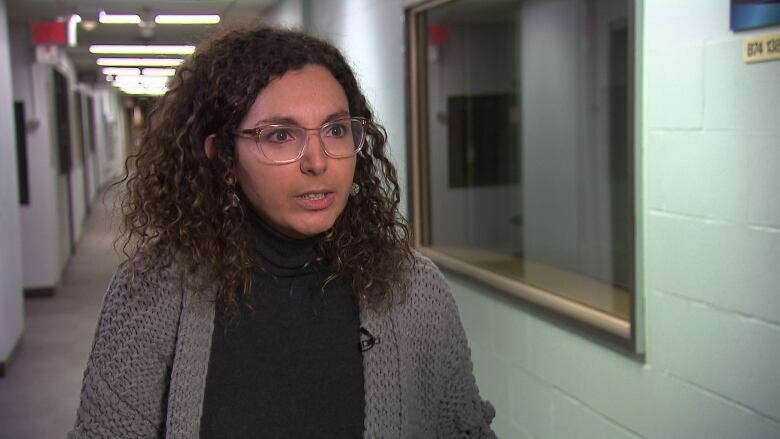 Advocates for undocumented workers who knew Granados when she lived in Montreal said they have so little faith in CBSA's ability to police itself, they've encouraged her to pursue a complaint through the United Nations rather than with the CBSA. 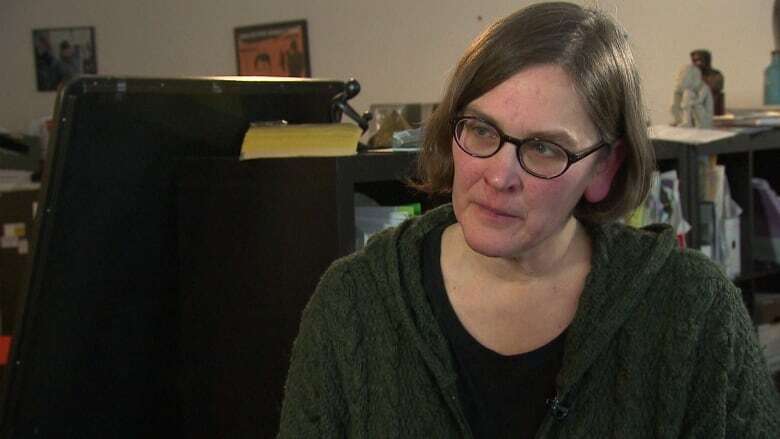 "We have enough experience to know that making a complaint to the CBSA about the CBSA doesn't really lead anywhere," said Mary Foster of the group Solidarity Across Borders. Even if Granados had filed a complaint, there's no assurance it would appear in the numbers released by the CBSA. Public complaints submitted online are initially filed separately, a CBSA spokesperson said. After review, the allegations may be reported to the Personnel Security and Professional Standards Division (PSPSD), in which case they would be added to the database. "Allegations are inputted in the database and are thoroughly investigated to determine whether they are founded," a spokesperson said in an email. The Liberal government has been promising to introduce legislation to add an oversight process. Public Safety Minister Ralph Goodale said in 2016 that the lack of CBSA oversight was "a gap that definitely needs to be addressed." "CBSA officers processed 95 million travellers in 2017, and only a very small number of these interactions led to a formal complaint," Goodale's spokesperson, Scott Bardsley, said in an email. His office declined an interview request but said the minister is still committed to creating oversight legislation. With an election looming this fall, however, it's not clear any legislation could be passed before the current session of the House of Commons is finished. "As long as you don't create this agency, misconduct or harassment can occur on an ongoing basis, essentially unanswered," Sandaluk said.